I made this cake for a memorial day picnic. 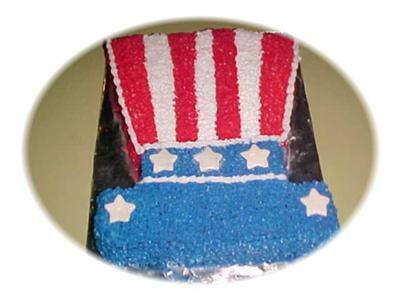 It was fun to do and thought maybe someone would like to do it for the fourth..I put fondant stars on it so it would be a little different. Nancy of Rialto, CA I WOULD LIKE TO ADD, UPSIDE DOWN IT WOULD MAKE A LITTLE DRESS, JUST CUT THE NECK OUT. You did a great job as awlays!! !